The Universidad de los Andes hosts this half-day conference, August 17th from 7:30am to 12:30pm, with talks highlighting product management best practices. Attendees will discuss how software companies can incorporate product management, as well as the challenges and opportunities that come with it. 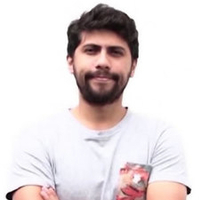 Camilo Jiménez, a Toptal developer and CTO of Mercadoni, will give a titled From projects to products: how Mercadoni’s software engineering vision led to a digital transformation. Camilo will share how transforming the way we develop software and empowering engineers can generate value for an organization. Using his company as an example, Camilo will describe how small changes made it possible for the engineers to achieve more and ultimately to transform the company.